Are the surfaces in your home showing their age? Do they appear dirty, no matter how much you scrub? You may think the only solution is to pay for an expensive replacement project, but there is another way. We can renew the shine to your stone, tile and grout. Our specialized cleaning solutions and powerful suction remove the dirt & grime from your grout like they were new. Seal out harmful particles for more healthy floors & counters. Bring back the true colour of your grout now! Our professional-grade cleaning process leaves your tile and grout surfaces sparkling clean like the day they were installed. We remove the dirt and grime that builds up over time and your tile and grout’s colour will be restored. We also apply a protective sealant to ensure you get the most out of the investment in your home. Interested in a free quote for Floor Tiles Cleaning? Give us a call on +971 50 484 7911 or 04-254 6128. We can make your dull & yellow tile shiny & white again. Bring that old grout back to life and rid yourself of the stains, smells, & bacteria now by calling +971 4 2546128 or +971 50 4849711. Different floors have different maintenance needs. Ceramic tile is a valuable material that is smooth unlike concrete and does not rot like wood. However, dirt and debris accumulate on the tile and within the grout lines. 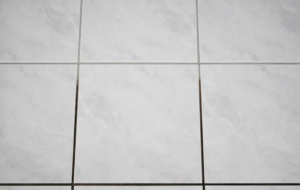 Over time, the grout can disintegrate and damage the floor. Professional tile and grout cleaners use the most effective methods to keep floors clean. As a concerned home or apartment owner, consider the reliable services of Deccan Building Cleaning Service LLC. The company also cleans and polishes for people who are fond of marble. Deccan Services Dubai tile cleaning professionals consider each floor individually. They choose the best cleaning method based on the condition. As a homeowner, you may have used cleaning products that strip the floor of its shine and strength. If you do not seal the grout, the color and texture may change. An unsafe and unpleasant residue is common. Deccan Services Dubai’s green cleaners are biodegradable and leave no reside or stains behind. Deccan Services Cleaning professionals pay attention to your needs. They provide plenty of safe, effective options for your floor. Tile and grout are notoriously difficult to clean. Every homeowner knows that regular mopping, home tile cleaners and home grout cleaning methods just don’t do the trick, especially if you’re trying to eliminate stubborn dirt that has settled on tile surfaces or deep into grout lines. Call Tile and Grout Cleaning Services in Dubai UAE, and we’ll come to the rescue Deccan Cleaning Services Dubai‘s professional Tile Cleaning and Grout Cleaning process will keep your tile surfaces, grout lines and countertops clean and fresh. We can boldly go where bottled cleaners and household mops have never gone before! Thankfully, Dubai Professional Tile and Grout Cleaning‘s powerful cleaning system safely cleans floors, showers, and countertops by quickly removing dirt and contaminants. Our Tile Cleaning and Grout Cleaning process uses heat, a specialized cleaning solution, and vacuum power to remove the dirt that homeowners can’t. We complete the job with a high-pressure rinse. After cleaning your tile and grout, our professional technicians will apply a penetrating sealer to protect grout against mildew and staining for up to two years. And basic Grout Cleaning isn’t the only service we provide. If you have colored grout in your kitchen or bathroom or between other tile surfaces, our special Grout Color Sealing process will protect it. Tile and Grout Cleaning Services in Dubai will safely get ceramic and porcelain tiled surfaces sparkling again! And if your tile is made of natural material such as granite, marble, slate, travertine or Saltillo, no problem! Just visit our Natural Stone page for more information. In addition to tile cleaning, we provide marble cleaning and polishing services. At first, marble looks glossy and attractive, but like everything else, it loses its luster. Professionals do not just clean with soap and water. They use cleaning solutions and equipment that are safe, effective and non-damaging. They polish to cover scratches and bring in a new shine that catches anyone’s eye. Within hours, the marble surface looks many times better than it did before. It is unsightly to see broken floors and dull counters. If you ignored it once, you cannot ignore it forever. Fortunately, Deccan Building Cleaning Services professionals have cleaned many tiled floors and counter tops in Dubai so they like new again. There is no need to fear going into your bathroom or kitchen. 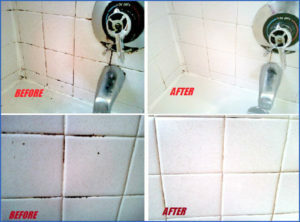 Choose a tile and grout cleaning Dubai provider that guarantees long-term results.